I always look forward to the annual photo gallery created by Capt. Jim Maya from his favorite photos of the year. Jim owns the whale-watching company, Maya’s Westside Whale Watch Charters, which operates out of Snug Harbor on San Juan Island, so he gets to see a lot of things. I’ve selected eight of my favorites from the 18 that Capt. Jim sent me. For a full gallery of photos, go to Maya’s Photo Gallery. 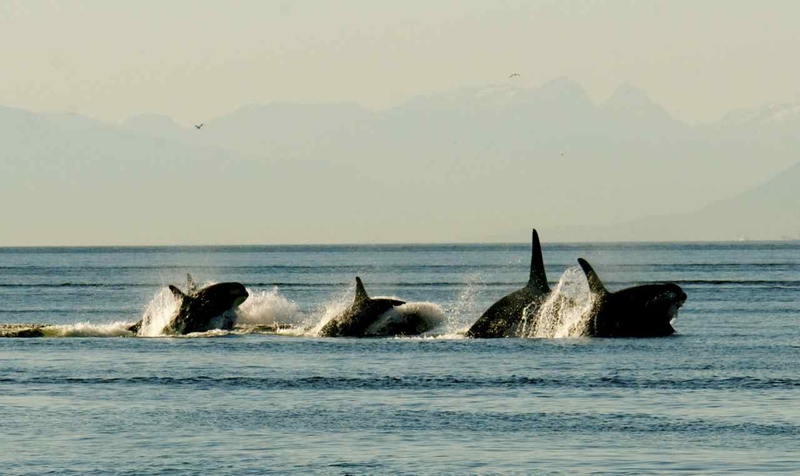 Transient orcas travel along the north side of Stuart Island. Look for a deer in the upper right corner. A transient from the group passing by Stuart Island. 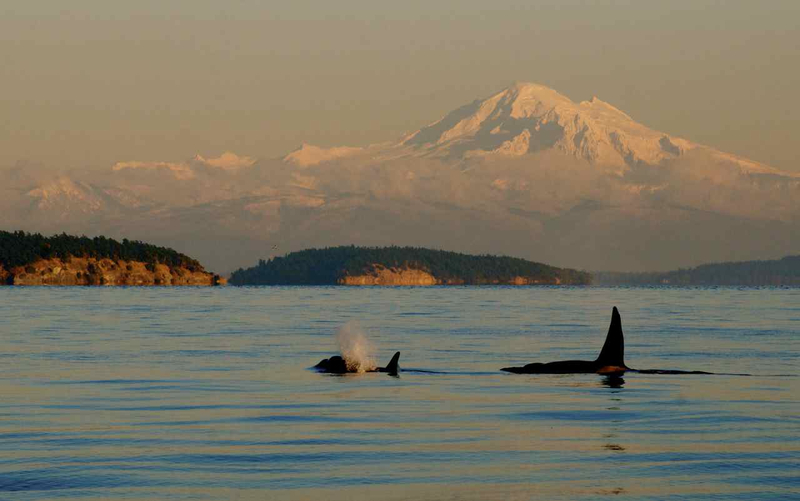 Transients pass in front of San Juan Island and Mount Baker. 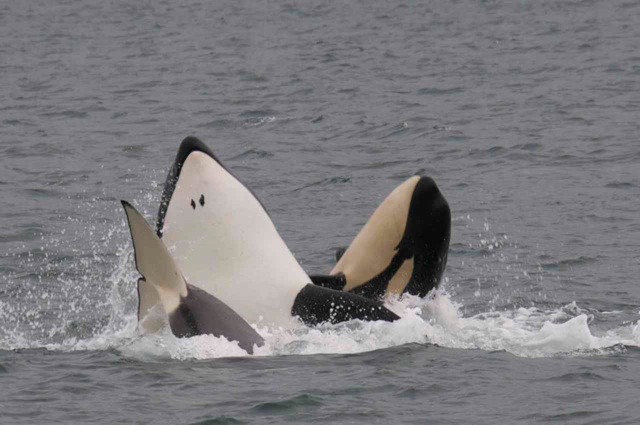 Transients feed on a sea lion in Haro Strait, San Juan Islands. Southern Resident orcas, San Juan Islands. Humpback whale fluke seen in the sunset, Haro Strait. 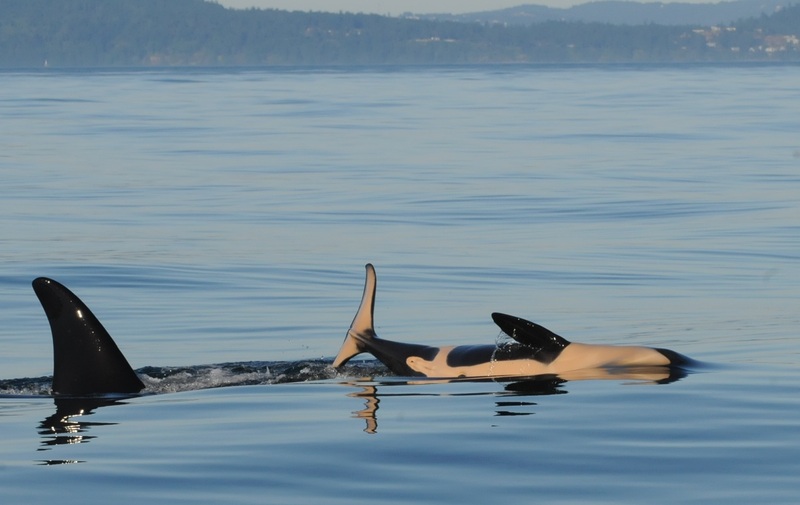 The L12s, who had been with J pod for a two days, departed late in the afternoon June 2, then returned June 5 with most, if not all, of the rest of L pod. 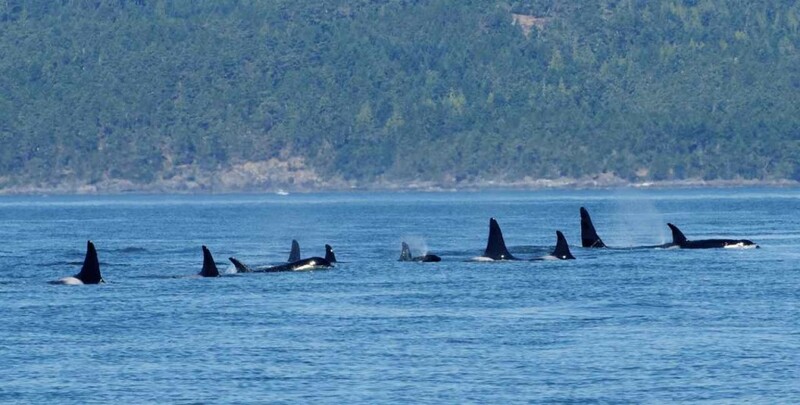 These 60+ orcas traveled up and down their familiar route from south of San Juan Island well into Georgia Strait for the past two days, passing Lime Kiln Lighthouse this evening, heading south. 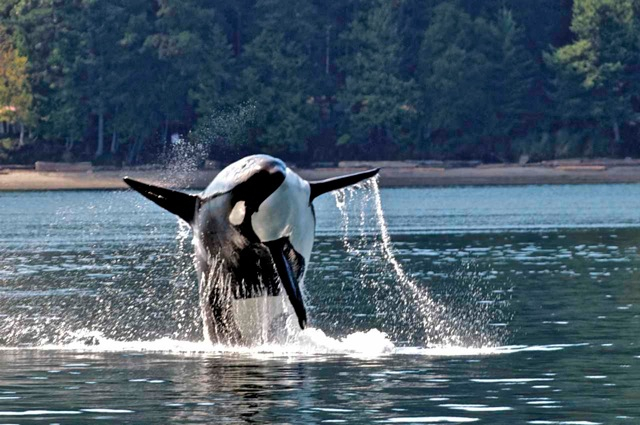 June is Orca Awareness Month, as proclaimed by Gov. Jay Inslee, and whale observers are now waiting for all three pods to get back together for their annual salmon feast in the Salish Sea. In previous years, the three Southern Resident pods might have shown up by now, but it would not be surprising to see them as late as the end of this month or even early July. 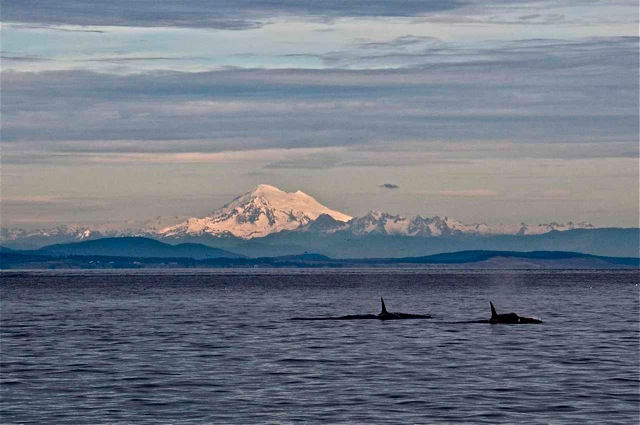 Killer whales off the south end of Stuart Island last night. Earlier this week, J pod was seen several times with 10 members of L pod, known as the L-12 subpod, which includes a year-old calf, L-119. 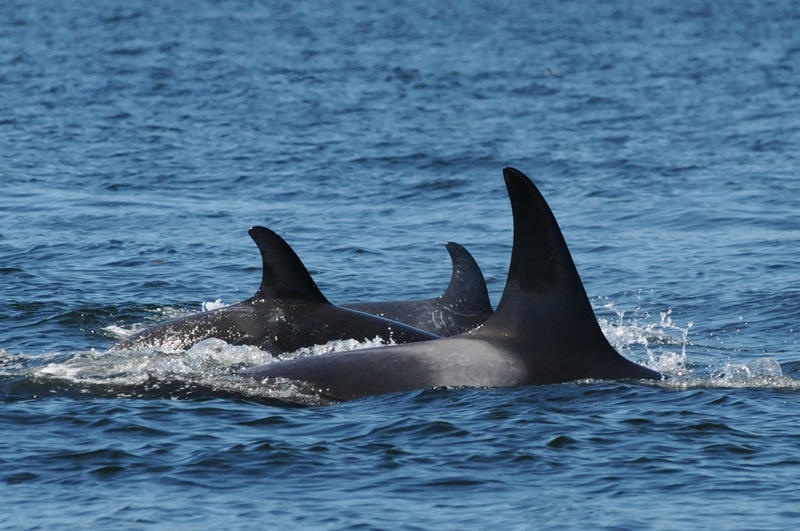 The rest of L pod and K pod have not been back for awhile, although K pod was spotted along the west side of Vancouver Island on May 20. 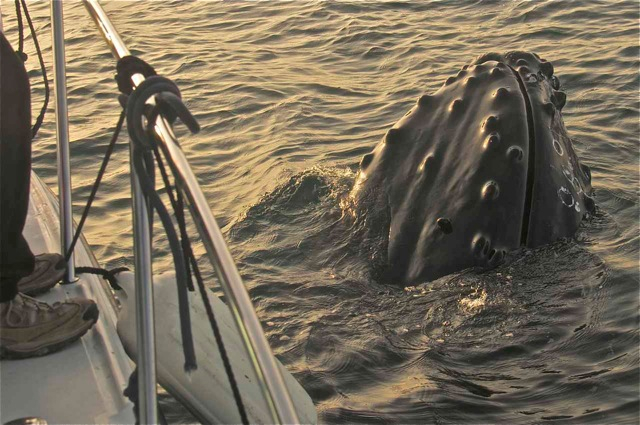 K pod is the one tracked for three months this past winter by researchers with the National Marine Fisheries Service. See Water Ways, April 5. 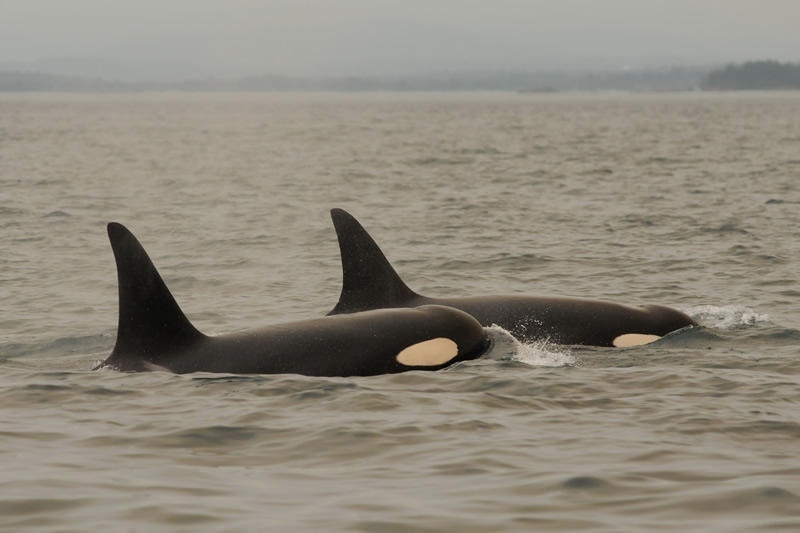 J pod, one of the three groups of killer whales that frequent Puget Sound, returned to the San Juan Islands yesterday after an unusually long absence. 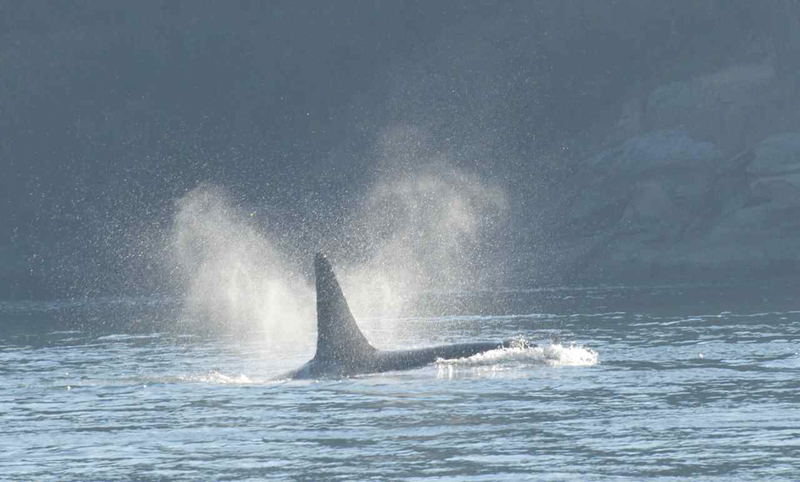 J pod typically passes through the area throughout the winter months. 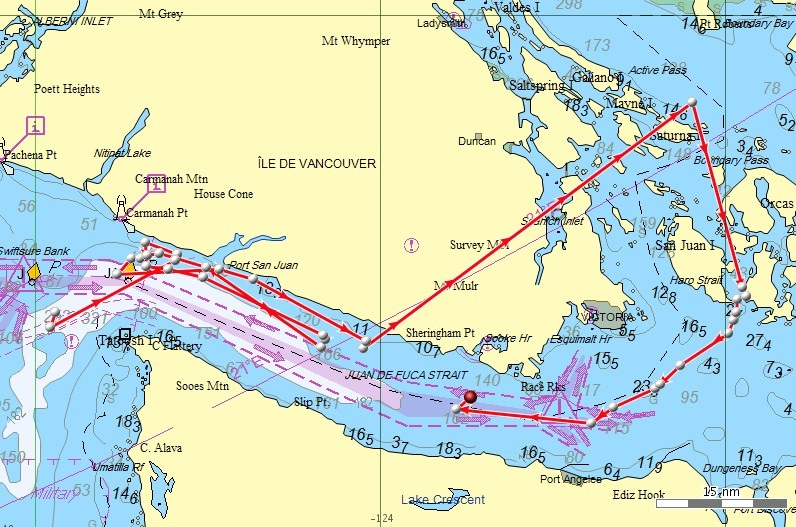 It is K and L pods that spend more time in the open ocean along the West Coast. Until yesterday, J pod had been gone for more than 70 days, according to Capt. Jim Maya of Maya’s Westside Charters. Orca Network received reports that J pod was off Victoria around noon. The pod moved east and then north along San Juan Island, shuffling along the west side between Lime Kiln State Park and Henry Island all afternoon. 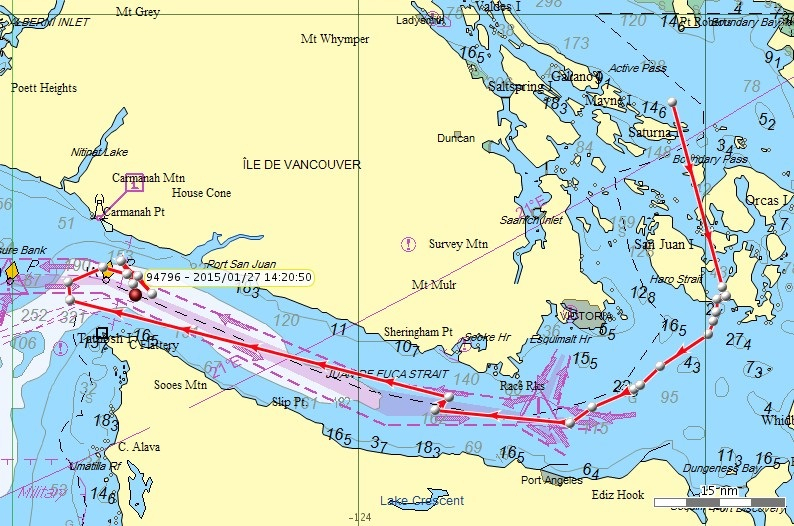 They were last seen heading north up Haro Strait. 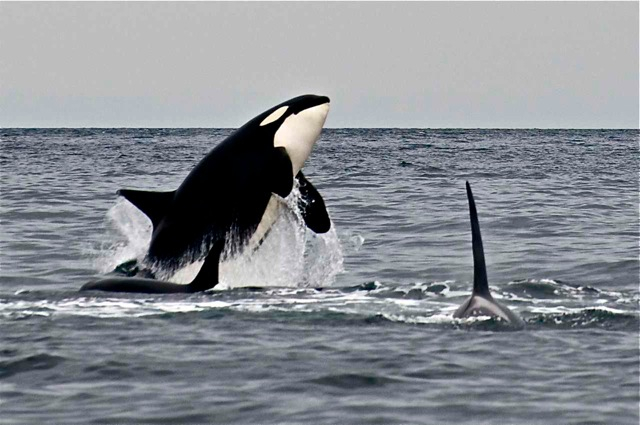 Ken Balcomb of the Center for Whale Research reported that all the members of J pod were accounted for and no animals had died through the winter, which is cause for celebration. (See Orca Network’s Facebook page.) It appeared no babies had been born either. 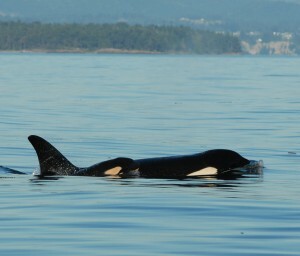 The last J pod calf was J-49, first spotted in August of last year. K and L pods should begin to make their appearances in the inland waters in the near future. Whether they stick around probably depends on how many salmon they encounter. 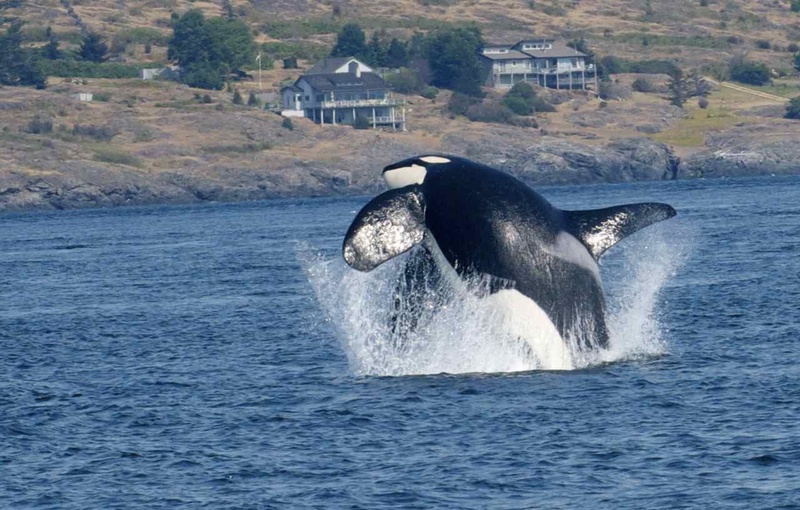 Typically, these Southern Resident orcas begin to roam around the San Juans and lower Strait of Georgia in early to mid-June, as chinook salmon return to rivers in the region. Capt. 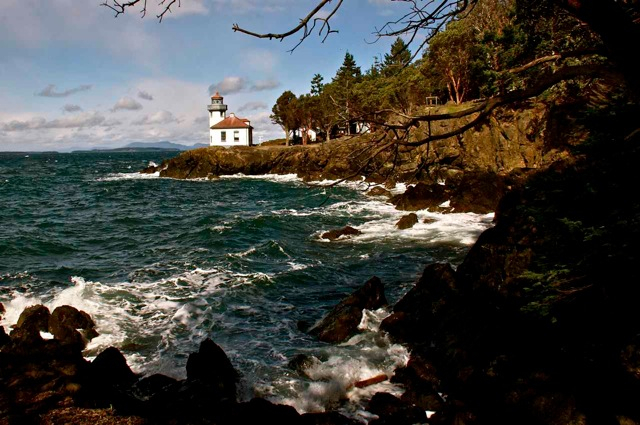 Jim Maya of Maya’s Westside Charters on San Juan Island sent me his favorite photos of 2011. Jim sent the photos on Jan. 1, so the delay in getting them online is all mine. The captions below each picture are Jim’s comments about the events and circumstances of the moment. Click on each photo for a better view. 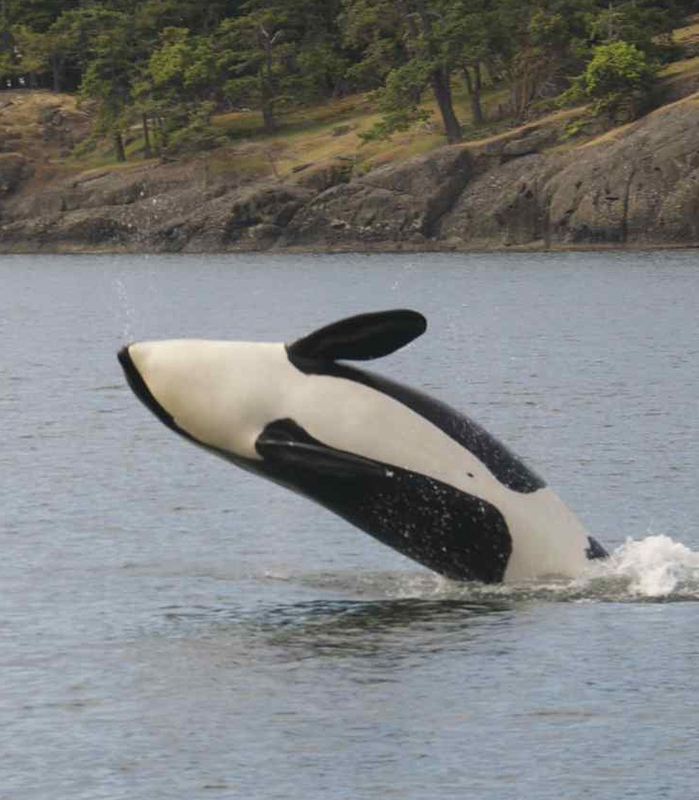 Knowing the precarious nature of the Southern Resident killer whale population, it’s hard for me to write about the loss of individual animals, as I did in Tuesday’s entry in Water Ways, when I reported the deaths of three orcas. Life goes on, but it’s hard to duck a mild feeling of gloom when I think of these families struggling to survive — with some whales dying before their time and a number of female whales failing to mother any calves in the peak of their reproductive years. Given uncertainties about food, disease and unknown catastrophes, I’m reminded that the risk of extinction remains very real. We’ll hear more about this potential in the coming months, as the National Marine Fisheries Service completes its five-year status review under the Endangered Species Act. 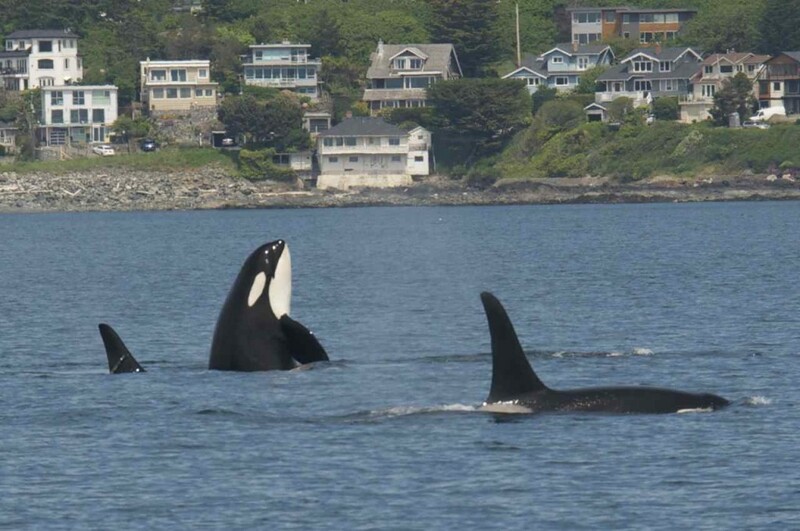 All in all, it’s been a good summer for killer whales in the San Juan Islands, according to Ken Balcomb of the Center for Whale Research. 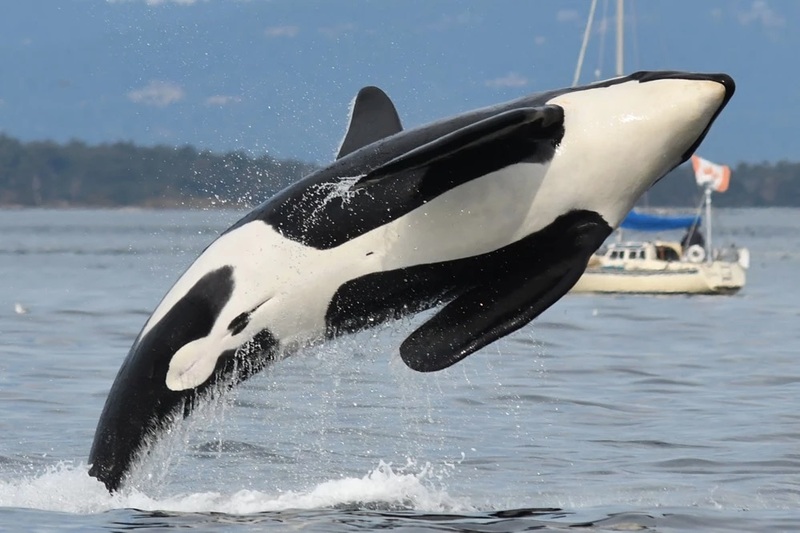 The orcas appear to have found enough salmon to be considered a healthy size, and it appears they are fit to go into winter. Capt. 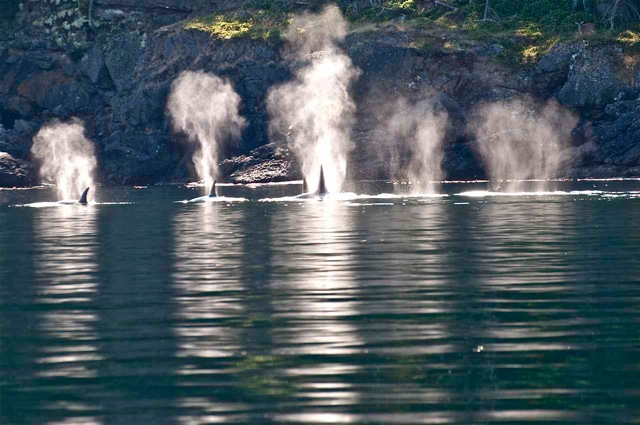 Jim Maya of Maya’s Westside Charters sent me some nice photos of the orcas in the San Juan Islands. He said I could share them with you. It’s an important reminder that these animals live in tight-knit family groups, traveling together, sharing food and helping each other raise the young ones. To me, that’s what it means to be wild and free, no matter what their future may hold.